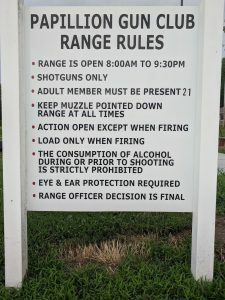 Keep Muzzle Pointed Down Range at ALL Times. Additionally, please pick up stray shells when you see them and keep the trap houses stocked and loaded whenever possible! For up to date information, check us out on Facebook!